workshop I will forward my list of tips for travelling with oil paints. 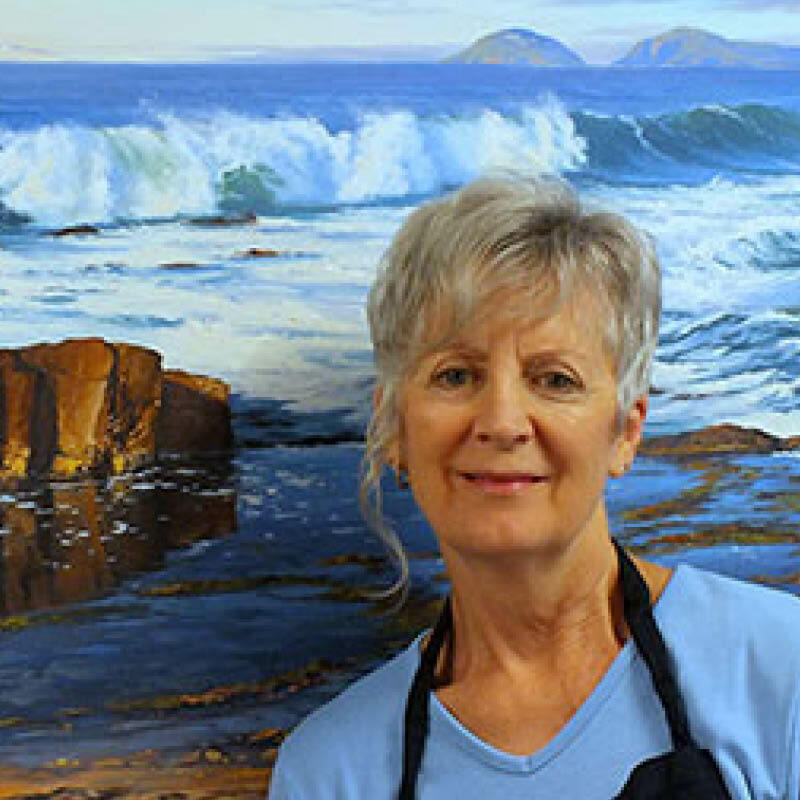 This workshop offers 13 days of painting and adventure in the spectacular Australian Outback. Highlights include exploring Australia’s Red Centre from Alice Springs, the spectacular Kings Canyon and the outback oasis of Glen Helen, situated in the West MacDonnell Ranges. For all the colour and rugged beauty of the Australian Outback laid out before your easel, who better to lead this tour than Robyn Collier, one of Australia’s most respected painters. If you want to experience adventure and the best of teaching, don’t miss this workshop. First-class teaching by world famous watercolour artist and teacher, Robyn Collier. Arrival transfer from Alice Springs airport to Alice Springs as per itinerary. Welcome drinks in Alice Springs. 3 nights’ accommodation in a four-star hotel in Alice Springs. 5 nights’ basic accommodation at Glen Helen. 2 nights’ accommodation at Kings Canyon. 2 night’s basic accommodation Curtin Springs. Continental Breakfast daily, 1 dinner in Alice springs, 5 dinners in Glen Helen, 2 dinners at Curtin Springs and 1 picnic lunch at Curtin Springs. Paper making workshop at Curtin Springs. Airport departure transfer from the workshop hotel to Uluru airport. Workshop accompanied by a professional workshop manager. A certificate confirming your successful completion of the Workshop.